A warm welcome to you, wherever you are. I know where I am. I’m sitting on a comfy sofa interviewing Emily June Street from the other side of the globe. For those that don’t know Emily, she is an incredible author (check out her work and buy the new book to see for yourself). 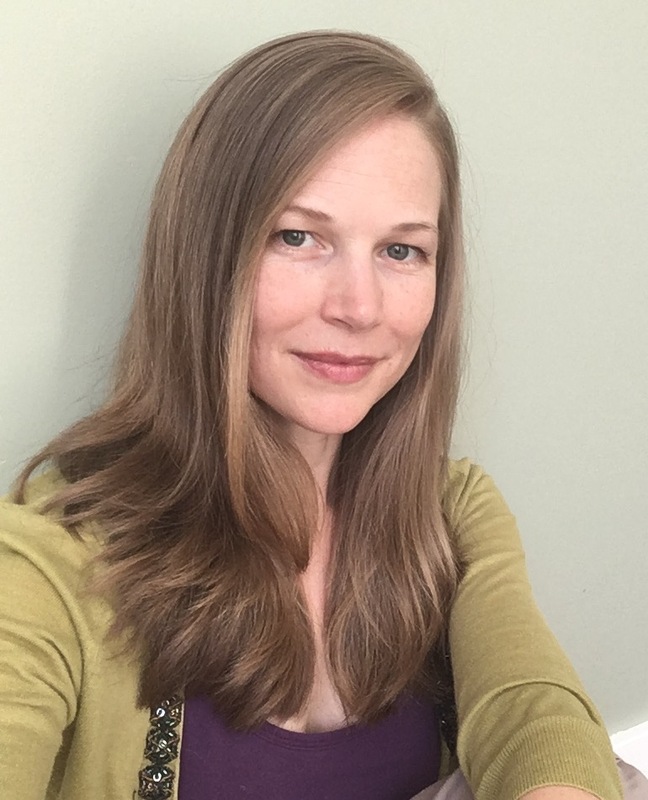 Emily is also an brilliant editor and a writing community champion. So it’s well worth hearing what she has to say. Below are some questions about her new book, Mage and Source (Tales of Blood and Light, Book Four). I also thought I’d ask some interesting questions about Emily herself. 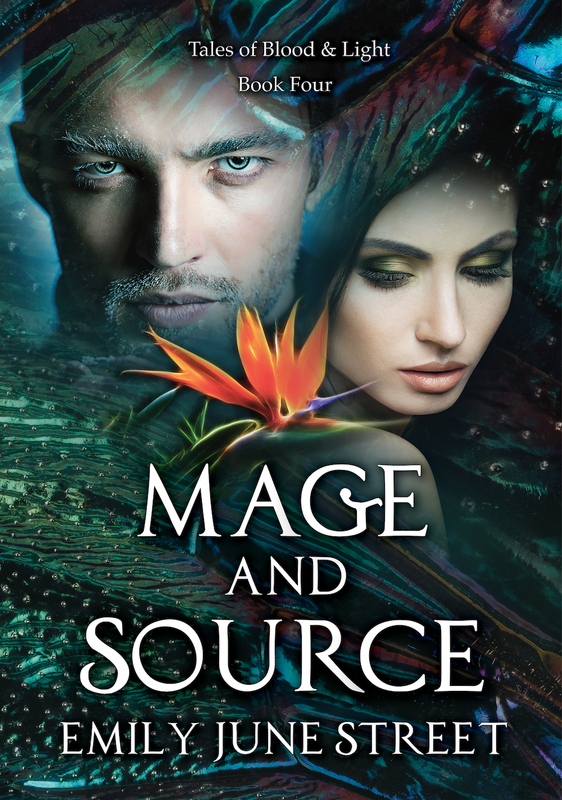 Using the senses of sight, hearing,  taste, smell and touch – what will readers experience in the world of Mage and Source? You’ll see faint hints of light and spellwork; you’ll taste a wide variety of bitter poisons; you’ll smell a diverse bouquet of flowery perfumes and exotic spices; and you’ll touch smooth crystals with hidden powers, petal-soft blossoms that turn to acid, and skin hot with reborn magic. Is there a character in the book that you wish had more time or space to develop? Well yes, though only because he’s a big attention hog. My narrator Laith had so much to say, I had to cut most of it just to make the book a reasonable length with a plot. Laith told me his entire life in great detail before I finally had a working draft. I could make a companion book called “Laith’s Unsolicited Opinions on Everything” if I thought anyone would want to read it. If you could chose a real world location and sound-track to open your book in film format, what would this look and sound like? This is a very hard question for me! Well, the opening scene takes place on the island of Gante, a cold, harrowing place during a very traumatic and apocalyptic moment. I’d say Iceland or Greenland for the set location, somewhere stark and icy. Then I’d want something very dark and dramatic for the music—maybe Prokofiev’s Cinderella suite the “Midnight” section for the dramatic actions of the Fall itself. That would be the unsubtle version. Collaborations are a large part of your writing and editing process – explain how these help you. Well, they’re completely necessary for me. I can’t see the overall picture on my own. I get sunk in the details of plot. I need good first and second readers to show me where I’ve gone wrong with my characters and their choices. Whenever I get really juicy, difficult feedback, I feel enlivened, I get huge flashes of inspiration and can see further into my book than I ever could have without the impetus of the feedback. Tamara Shoemaker was my editor for Mage and Source. She has a perfect balance of raw reader feedback and technical editorial feedback. She and I have a really solid working relationship that we owe in part to you for suggesting we get together and try something! We also co-write together, so our collaborations tend to be very intricate and smooth. There are many wondrous sights and experiences in the world. Are there any that have inspired you or awed you emotionally or spiritually? The middle of the Amazon rain forest, six hours from civilization by dugout canoe: the bright green leaves everywhere, the feeling of being a tiny spec of life in a roiling, chaotic universe of it—yet I was somehow entirely and inextricably laced into the fabric of the world, indivisible from it. That experience translated a bit into the Gantean worldview in the Tales of Blood & Light series. Finally, what’s the big plan for the future, Emily? No big plans, really. I’ll just keep plodding away at my writing as I always do. I’m going to my first writing conference next month in New York City where I’ll get to meet Tamara Shoemaker in real life and we’ll also be pitching our two co-written books to agents. Right now that’s so much excitement I’m not sure I could handle more! I wish Emily all the best with the Mage and Source and her forthcoming trip to NYC. Thanks for a lovely interview, Mark!